Sumaridge was yet again busy and couldn't provide the ideal experience. We had this happen last time we visited this estate also. I don't know why they like to short staff themselves on busy weekends. Anyway, the place is beautiful as always. I love the building and setting. We got a table no problem, it took a good ten minutes before they got our first wine to us. We got through three of the wines and then had to get going due to a lack of time. We were told we still had to pay for a full tasting, so we asked them to pour the final three wines in our three glasses so we could taste them without having to wait between pours. I have found on both occassions that this wine estate has been busy yet they only have two staff members on. Both times we have tried to sit down and enjoy the experience, but because they are so busy, it bceomes a frustrating experience. I have found on both occassions that those who stand at the bar get served pretty quickly, so if you get here and it's busy, and you don't want to spend more than an hour to get through the wines, stand at the bar. It's usually a lot quicker and you can always get served everytime they get wine from the fridge. Sauvignon Blanc 2013 at R70 a bottle was light, not too acidic with a fresh finish. I liked this wine. Maritimus 2010 at R115 a bottle was soft, flavoursome, creamy, little minerality, tones of apricot and stone fruit, nice lingering finish. This wine was very nice! Chardonnay 2011 at R150 a bottle had lovely characteristics and flavour. It was smooth, wooded (but not overpowering), lingering finish. Nice flavour, very nice wine. Rose 2013 at R60 a bottle. This had lovely flavour, was dry, had a nice finish. It was a very pleasant rose. 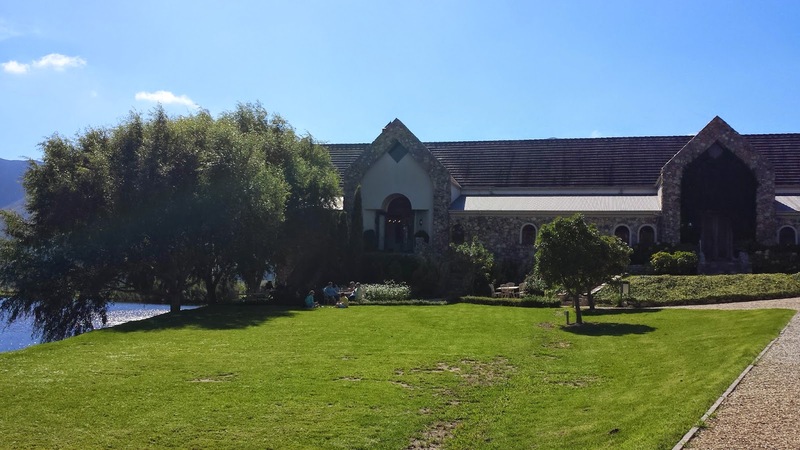 I do recommend visiting this winery, but try avoid long weekends when Hermanus is busy.